The Pledge of Allegiance words were not officially recognized by Congress until June 22, 1942, when the Pledge of Allegiance words were formally included in the U.S. Flag Code. The Pledge of Allegiance words are accompanied by the hand-over-the-heart gesture as the salute to the flag of the United States of America. con libertad y justicia para todos." une nation sous Dieu, indivisible, avec liberté et justice pour tous." The Pledge of Allegiance is an expression of loyalty and patriotism and all of the words have great meaning and historical significance. "I pledge..." Meaning: A binding commitment and a guarantee, to promise solemnly and formally. Example: The word 'pledge' is used in the Declaration of Independence "We mutually pledge to each other our lives, our fortunes, and our sacred honor." "...of the United States of America" Meaning: The USA flag represents the 50 States and all their inhabitants. The stripes represent the 13 original colonies and reflects the history of the America. The US flag serves to remind those that take the oath that it refers to America rather than the the country of their birth. "...and to the Republic" Meaning: A form of government without a monarch. The head of state in a republic is the President. A nation in which the supreme power lies in a body of citizens who can elect people to represent them. "...one Nation..." Meaning: Reflects the motto of the United States of America meaning "Out of many, one"
The Pledge of Allegiance Words, Answers and Facts about the American Pledge of Allegiance. Pledge of Allegiance Words: What Is the Pledge of Allegiance? Pledge of Allegiance Words: What Does the Pledge of Allegiance Mean? Answer: There is a deep meaning and significance in all of the words which are explained in detail above. It is a promise of loyalty and devotion to the nation. Pledge of Allegiance Words: Why do we say the Pledge of Allegiance words? Pledge of Allegiance Words: Who wrote the pledge of allegiance? Pledge of Allegiance Words: When was the Pledge of Allegiance Written? Answer: It was written in 1892 and a version of the oath first appeared in a magazine for young people. The pledge first appeared in the 'Youth's Companion' which was a popular magazine for young people, The Youth's Companion, in the Sept. 8, 1892, issue., in the Sept. 8, 1892, issue. Pledge of Allegiance Words: When did the words to the Pledge of Allegiance first published? Pledge of Allegiance Words: When were the original words changed? Answer: The original words were changed in 1924 when the original words of "my flag" were changed to the words "the flag of the United States of America". Pledge of Allegiance Words: When were the words "under God" added? Answer: The change to the words occurred in 1954 when, by a joint order of Congress, the words "under God" were inserted. 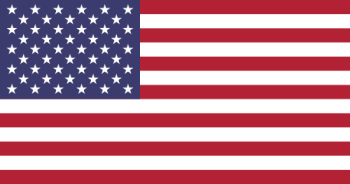 The phrase was incorporated on June 14, 1954, amending the Flag Code enacted in 1942. Pledge of Allegiance Words: Why were the words "under God" added? Answer: The words "under God" were added during the McCarthy era and the 'Cold War' period in American history when there was a fear and suspicion of communism. The words "under God" were inserted to differentiate the United States of America from officially atheistic Communist nations. Pledge of Allegiance Words: Who initiated the 1954 amendment? Pledge of Allegiance Words: Are the words "under God" constitutional? Answer: In 2002 opposition to the words "under God" resulted in a federal appeals court ruling that the words are unconstitutional because they violated the First Amendment's prohibition against government endorsement of religion. Pledge of Allegiance Words: Why are the words "under God" still included? Answer: The Supreme Court subsequently overturned the ruling and verdict on procedural grounds. Pledge of Allegiance Words: Are the words "under God" discriminatory? Answer: The Supreme Judicial Court of Massachusetts are considering arguments seeking removal of the two words for the new reason of discrimination. which forever will be our country's most powerful resource, in peace or in war."